Jypyä Pop (Turku, Finland) on 1 July 2018 in Lifestyle & Culture and Portfolio. An enchanting portrait with splendid reflections.. Superb capture of the scene ! such beautiful composition, focus, colors & reflections! The world in a Sphere. Summer is a propitious time for magic. 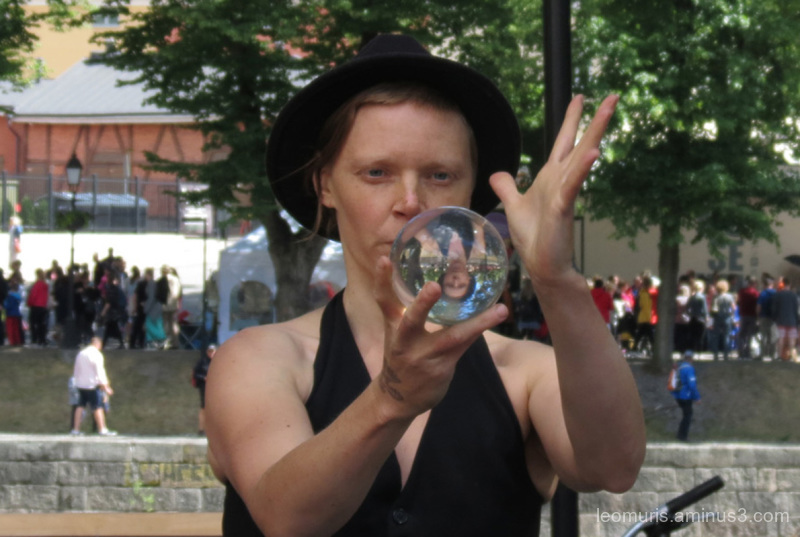 LOvely capture of the lady and the crystal ball!! Did you find out your future ? I love these people who can see things more than we can see ! @Devi: I did not notice to ask. Maybe it's better so. WOW! 5 stars from me. What an amazing capture!